The first one is done by my 9 year old for her cousin. I love how she stamped the background. her cousin likes baking so she added some baking elements around her happy birthday. I will enter this in Simon says stamp challenge for kids- anything goes. Here is one I made for mft sketch 240. The repetition concept in the class was great to conceptualize the four blocks. The cards are fantastic, I love the Happy Birthday card Congratulations to your daughter. 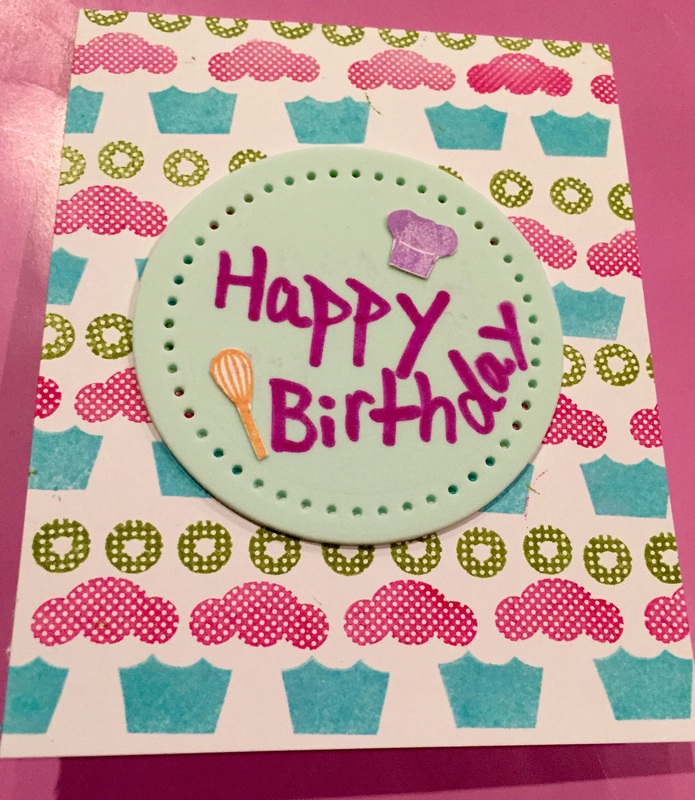 A fabulous Birthday card Nisreen, such a fabulous stamped background with a gorgeous sentiment panel with the lovely baking instruments!! So happy you joined us with Simon Says Stamp Kids Vacation Challenge. I loved the pretty rolled flower! 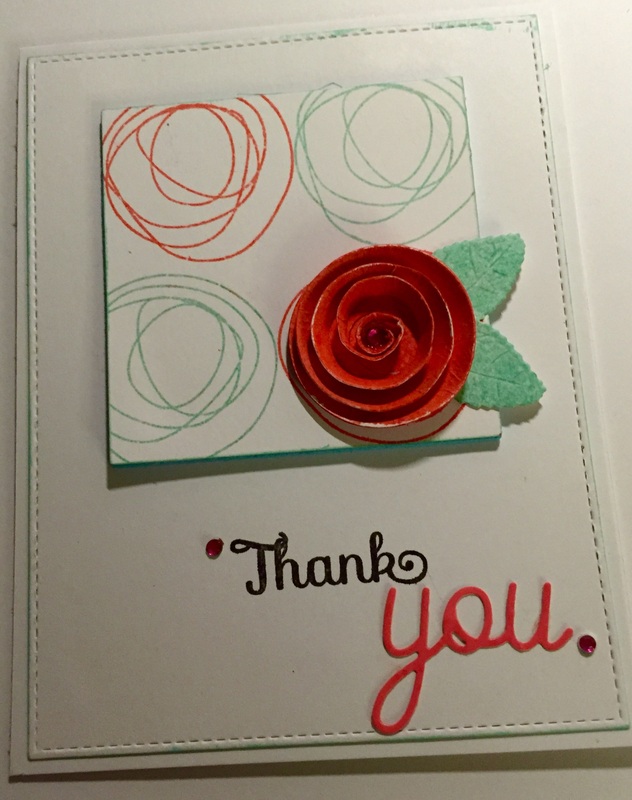 Your stamping is lovely as well. Thank you for playing along with the MFT Sketch Challenge! Gorgeous cards! I love the Nisreen’s cute baking theme and your stamping is perfect. Nisreen’s cupcake background is really colorful and so well done! I know her cousin will be so pleased to get it! Thanks for sharing this for our kid’s vacation challenge at Simon Says Stamp! What a great idea to three-dimensionalize one of the flowers! really pops!